The world of electronics manufacturing spans the entire globe and accounts for trillions of dollars worth of products being made annually, but it is also a small world in the sense that many of the companies manufacturing electronics are faced with similar challenges, use similar technologies, and have similar ambitions for the future. We asked representatives from two leading South African contract electronics manufacturers to share some of their insights into this complex landscape. They are Grant Emandien, operations manager at Leratadima Tellumat Manufacturing, and Petrus Pelser, managing director at Etion Create (formerly known as Parsec). What are some of the manufacturing capabilities your facility employs? Grant Emandien: The increase in the percentage of surface mount technology (SMT) components present on printed circuit boards (PCBs) is continual, and increasingly printed circuit board assemblies (PCBAs) are now populated only with surface mount devices. Thus, the selection of related equipment for populating PCBs is imperative to remain competitive in the provision of quality and reliable products. Not only is the choice of component placement machines critical, but the reduction in component size also places increasing focus on solder print equipment and inspection equipment (solder paste and automated optical inspection and X-ray equipment). While equipment choice is critical, process management and monitoring are essential to ensure rework costs are minimal and throughput is maintained at expected levels. Choosing the correct test equipment and associated test techniques is fundamental in delivering (a) functional products, (b) a price competitive product and (c) minimising the costs of product returns and repairs. Petrus Pelser: Etion Create specialises in the design, manufacturing, integration and support of advanced technologies. We design, develop and manufacture a wide range of advanced electronic and digital technologies for internal and external customers. Our core business focus is on electronic solutions and covers product development, manufacturing and systems integration services. We also do weapons and electronics integration and manufacture a range of products, from printed circuit board level (SRUs) to complete solutions (LRUs). Our electronics manufacturing capability is close to our internal design authority, which gives us closed-loop feedback and feedforward regarding design for manufacturability (DFM) issues. This helps us with our production engineering services and interfacing to external design authorities. We do full turnkey manufacturing of electronic assemblies (procurement through to shipping of tested units), and we conform to IPC class 2 and class 3 standards to service our industrial and defence clients. Our QMS processes gives us repeatable quality deliverables and our lean practices drive continuous improvement of those processes. We are also ISO 9001: 2015 certified, but what sets us apart is our ability to create customised subsystems and products for clients across a range of sectors, including mining and industrial, defence and aerospace, IoT and sensors, and cybersecurity. We also have a range of commercial off-the-shelf (COTS) products. Is it a problem finding the right people with the right skills you need for your manufacturing plant? Grant Emandien: Yes. Due to South Africa having a small contract manufacturing sector, as well as the changing economy, staff inevitably require training to meet requisite quality and reliability expectations. All staff are trained in-house for assembly needs, in addition to those staff with technical diplomas and those doing technical learnerships who do more complex testing and other higher-skilled jobs. It could typically take six months for trained staff to meet the minimum level of proficiency. Even though technical staff may be obtained with a diploma, additional skills are still required to meet specific demands. Petrus Pelser: Our people are the driving force of our growth, so we are focused on developing and nurturing new skills critical to our growth. Yes, we do struggle to find good technically skilled operators that can program and run complex automated machines. The colleges and tertiary training facilities do not deliver people skilled in these aspects. That is why we are committed to building a diverse workforce that reflects the diversity of our customers, partners and society. We have successfully built a diverse workforce which delivers innovation on a daily basis, with fresh ideas and a broad cultural mix. 45% of our total workforce as a group requires technical skills. We do a lot of in-service training, and also make good use of the interns who come to work for us to get their practical experience on an annual basis – this provides us with the additional benefit of employing good candidates after evaluating them during on-the-job training. Our heritage in engineering and technology ranges over 31 years, and our people are a good mix of old and new. The future will demand an adaptable and versatile workforce, so finding people that can easily be skilled, reskilled and upskilled is key. eLearning platforms will play a crucial part in the continuous learning journey, and this is a platform that we are now adapting as a company. What excites you most about where electronics manufacturing technology is at the moment, and where it’s heading? Grant Emandien: As a contract manufacturer it is always exciting to continually build new and innovative, leading-edge products for customers. Currently, the improvement in process technologies and available tools to improve and monitor productivity and efficiencies is a key driver to becoming a cost-effective manufacturer. The reduction in cost of these tools over recent years has been an important factor in reducing cost and improving productivity. Petrus Pelser: Firstly, the drive of Industry 4.0 is an exciting opportunity, with automation of higher-volume assemblies and improvement in efficiency at the core. Emerging technologies are improving the modelling and monitoring of manufacturing facilities, which allows for easier information-based decision making and improvement opportunity identification. Industry 4.0 is driving socioeconomic change on a scale and at a pace never seen before. Technological advancements such as the Internet of Things (IoT) and robotic process automation are fundamentally changing the way in which we live and work, especially the way in which operations are handled. Within this context, leaders in government, business, industry and the state-owned companies (SOCs) are all concerned about the impact that the rapid move to digitalisation will have on their organisations. This is particularly true of some major SOCs, which have large legacy systems. The most pressing question for them is whether they will need to completely replace their ICT infrastructures or whether it is possible to digitalise existing systems. The ability to build digital capacity into legacy systems is crucial, as the financial and operational implications of having to replace entire systems are enormous. As a provider of integrated digital technology solutions in major sectors such as rail, mining, defence and telecommunications, Etion is acutely aware of the need for innovative thinking on issues of this nature. It is for this reason that we actively engage with our customers in order to develop and implement the best possible digital solutions to suit their evolving needs. As a group, we are adapting to a changing world, we’re combining all our expertise into one and this change really excites me. 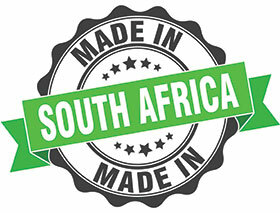 South Africa could become an important hub for supplying electronics products into Africa, or at least SADC countries. We have the opportunity to bring localisation of electronics manufacturing in Africa, instead of all countries being reliant on manufacturing in the East. What are your biggest frustrations or challenges in being able to make your products efficiently and cost-effectively? Grant Emandien: Material, and specifically electronic components availability, is a challenge due to the current market conditions. In general, though, it is the poor delivery performance of component suppliers in not meeting stated/committed delivery dates – this is exacerbated by the poor communication of some suppliers. For the industry to remain competitive, costly delays in the full supply chain must be kept at a minimum. Petrus Pelser: There are a few. Firstly, the shortage of components: being a growing world technology player, our manufacturing industry does not have the buying power to get electronic parts at the same cost or in the timescales required by our customers. Technological development inevitably brings with it unexpected consequences, and the advent of the fourth industrial revolution is no exception. Fuelled by rapidly increasing demand for technologies such as smartphones, new-generation vehicles and advanced defence hardware, as well as by an explosion in the use of the IoT in industry, it is causing a global shortage of critical electronic components that are affecting most sectors that are dependent on such components. Secondly, our labour laws can sometimes be too restrictive given the globally competitive environment in which we have to operate. Thirdly, it is difficult to compete on price. When exporting electronic assemblies, we have to get the parts from overseas and ship finished products back overseas, placing a further burden on cost competitiveness. Supporting local distributors and sourcing through trusted channels can add a premium on the cost of material.